KidSide, a not-for-profit organization, is holding their annual fund raiser on Saturday, December 3, 2011 at 8pm. My artwork will be on sale with proceeds benefiting KidSide. KidSide supports Family Court Services in its endeavor to provide necessary services and facilities to children who are suffering through the turmoil of their parents divorce, separation or other high conflict litigation in the Miami-Dade County Family, Domestic Violence and Unified Family Courts. KidSide ensures that the best interests of children are put first. The 2012 South Beach Wine and Food Festival will hold their Holiday Auction to benefit Florida International University's highly acclaimed School of Hospitality and Management Teaching Restaurant and the Southern Wine & Spirits Beverage Management Center. The auction will include my artwork piece titled, "Rever de Vous." The online auction begins on November 23 and ends December 7, 2011. Best Buddies presents its Fifteenth Annual Miami Gala: Italia, on Friday, November 18, 2011 at the Fountaineblueau Hotel in Miami Beach, FL. A silent auction will include one of my art pieces. 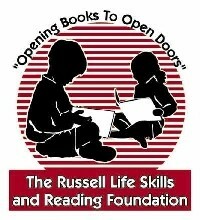 The Russell Life Skills and Reading Foundation presents its Art & Athletes Fundraiser on Monday, November 14, 2011 at 7 pm at Rick Case Luxe Collection, 15800 Rick Case Honda Way, Davie, Florida. The event will include a silent art auction which will feature several art pieces from the Caribbean series. The Cuban-American Bar Association presents its annual Art in the Tropics on Saturday, November 5 at Fairchild Tropical Gardens, 10901 Old Cutler Road in Miami, Florida. All proceeds will go to benefit CABA's Pro Bono Project, which offers free legal services to the community. The auction will feature three of my pieces. Unity on the Bay, a 501(c)3 orhanization presents its third annual Gala and Silent Auction with its theme, "Celebrating Oneness." This year's gala will be held on Friday, November 4 at the InterContinental Hotel in Miami starting at 7pm. Rodezart.com Gallery is donating a piece of artwork for this function. St. Kevin's Catholic School presents its annual Fundraising Gala and silent auction. The event will be held Saturday, October 22 and Rodezart.com Gallery is donating a piece for this event. The Life Alliance Organ Recovery Alliance will be holding its 9th Annual Luminaire Awards Gala on Saturday, October 8, 2010 at the Fountainebleau Hotel, Miami Beach, FL. As part of the event a silent auction will be held and will include several of my pieces of artwork. 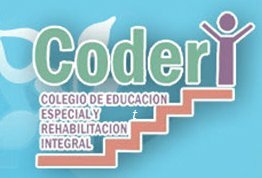 Coderi, Colegio de Educacion Especial y Rehabilitacion Integral, a 501(c)3 organization presents its 18th Annual Pico Garcia Golf Tournament fund raiser in San Juan, Puerto Rico. A silent auction will include one of my pieces. Merici Academy Alumni Association Luncheon & fundraiser, Hotel Sofitel, Miami, Fl. By invitation only. RODEZart.com Gallery is donating a piece of artwork for this function. Amigos for Kids Miami Celebrity Domino Night and Silent Auction at Jungle Island, 1111 Parrott Jungle Trail, Miami, FL., on Saturday, June 18 from 8 p.m. to 2 a.m. Enjoy Dominos, Drinks, Dancing, and Dinner by the Bite. Also enjoy of a great silent auction including trips, artwork and much more. Tickets can be purchased online at www.amigosforkids.org for $150 per person, or $175 at the door. $1,000 reserves a domino table for four. My piece, Guajiro Trepado , will be one of the pieces on silent auction. Tigertail presents its Bold Adventures Fundraiser on Saturday, May 21, 2011 at the Miami-Dade County Auditorium from 8 to 11pm. Tigertail fundraising parties themselves are legendary events that can transport you to another space and time. This year, you will boldly enter through the Stage Door as the star of the show! Mark the date in your calendars for this year's special bash and don't miss the event of the season! As part of the silent auction I have donated a piece of artwork. The 9th Annual FedEx / St. Jude Angels & Stars Gala will be held on Saturday, May 14, 2011 at the JW Marriott Marquis, Miami, Florida. Enjoy an unforgettable, star-studded event complete with live music performances, a fantastic silent auction, and plenty of celebrities on hand. Each year, the FedEx/St. Jude gala honors an outstanding individual with the Al-Rashid Hope Award for their humanitarian efforts. As part of the event, a silent auction will be held in which I have donated a piece of artwork. Our Lady of the Lakes Catholic Church celebrates its 13th annual Lend-a-Hand Black & White Social Gala and auction on Friday, May 13 at Marriott Doral Golf Resort & Spa, 4400 NW 87 Ave., Doral, Florida. The silent auction will showcase a number of my pieces. Shake-A-Leg Miami celebrates its 20th Anniversary on Friday, May 13, 2011 from 6 to 10pm at 2620 South Bayshore Drive in Coconut Grove, Florida. As part of their 20th Anniversary festivities a silent auction will be held which I have donated a piece of artwork. The 7th Annual Juntos Event for the benefit of children with cancer and heart disease, Saturday, May 7 at 8:00 p.m. at Villa 221, 221 NE 17th Street, Miami, FL. Event will feature a silent art auction to raise funds for the Juntos Foundation which will include one of my pieces. Tickets are $75 in advance or $90 at the door. Assistance to the Elderly, Inc., a non-profit organization and partner of Residential Plaza at Blue Lagoon will join in celebrating 20 years of service to the senior population benefiting the "Foster and Elder Rescue Life Campaign" on Friday, April 29, 2011 at the Miami Beach Convention Center, 1901 Convention Drive, Miami Beach, Florida. As part of the event, a silent auction will be held in which I have donated several pieces of artwork. Habitat for Humanity of Greater Miami presents Blitz off Broadway on Saturday, April 16, 2011. As part of the event, a silent auction will be held in which I have donated a piece of artwork from my Afro-Caribbean series. The 16th annual charity gala presented by Roy and Lea Black for the benefit of The Consequences Charity Foundation and a host of other not for profit concerns will take place at the Eden Roc Renaissance on April 2, 2011. The annual event, always on the top of Miamis social calendar, will feature the theme, Thats What Friends Are For and offer guests an amazing array of things to do in one evening benefitting at-risk youth. The event will kick off with celebrity red carpet arrivals, a cocktail reception with auction items, including an original RODEZ painting, and luxury couture shopping to benefit charity, followed by a four course gourmet fine dining experience while watching extraordinary performances by grammy winning / platinum selling artists. During the course of the evening, a provocative fashion show and boxing match promise an unforgettable evening to help children in need. The Vanguard School of Coconut Grove, serving children with reading, learning and attention deficits since 1968, presents its annual gala on Saturday, April 2, 2011 at the Vanguard School, 3939 Main Highway, Coconut Grove, Florida. As part of their gala, a silent auction will be held in which I have donated a piece from my Afro-Caribbean series. Join me as one of three featured artists for a Dinner Tour, including dessert extravaganza, and Silent Auction to benefit programs of the Academy of Hospitality & Tourism - Miami-Dade County Public Schools, presented by Johnson & Wales University. Featuring cuisine from Asia, The Mediterranean, France, South America, the US, and more. 7 p.m. @ Johnson & Wales University, 1701 NE 127 St., North Miami, Fl. The Coconut Grove Peacock Tour Auction presented by Prince Media will be held at Paragon Gove 13 Theatre, CocoWalk, 3015 Grand Avenue in Coconut Grove, FL on Wednesday, March 16 starting at 6pm and will continue until all the peacocks have a new home. The evening will kick off with a cocktail party at Paragon's Backlot Lounge. Pictured above is my "Club Tropicana Presents Penelopeacock" - click image above to see how she came to being. We hope she finds a wonderful new home along with all the other artists' peacocks. 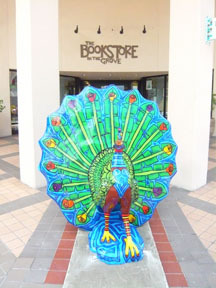 Proceeds from the sale of Penelopeacock will benefit St. Alban's Child Enrichment Center while other peacocks will benefit charities such as Shake-A-Leg, The Miami Heat Foundation, Casa Valentina, Coconut Grove Woman's Club, Boys and Girls Club of Miami, as well as many more great non-profit organizations. Join Former Chief Meteorologist Bob Soper from CBS4 as the auctioneer by purchasing your tickets at the Paragon Theatre Box Office. The Jewish Museum of Florida presents its 2nd Annual Purim Night at The Museum on Wednesday, March 16. The Museum is located at 301 Washington Avenue in Miami Beach, Florida. I have donated one of my art pieces to the silent auction portion of their event. The American Red Cross of South Florida presents the 29th Annual American Red Cross Ball on Saturday, March 12 at the JW Marriott Marquis in Miami, Florida from 7:30 to 11 p.m. During their silent auction a selected piece from my Elements & Values series will auctioned off with all proceeds benefiting the American Red Cross. The Friends of Art at the University of Miami Lowe Art Museum hold their annual Spring Into Art fund raiser. This year's theme is AMERICA! As one of the event's feautred artists, I am proud to donate an original piece of artwork. The event will be held on Friday. March 11, at the Lowe Art Museum, 1301 Stanford Drive, Coral Gables, FL. Tickets are $125 per person. On March 8, 2011 I will be making presentations to the students from Mr. Charles Laffin's classes at American High School's Fine Arts Academy as part of the Visiting Artists Program for the Coconut Grove Arts Festival. The South Beach Wine & Food Festival celebrating its 10th year, presents The Food Network South Beach Wine & Food Festival Auctions benefiting Florida International University's School of Hospitality & Tourism Management Teaching Restaurant and its Southern Wine and Spirits Beverage Management Center. Click logo above to see & bid on the art work I have donated. Click here for images from event. The Coconut Grove Ballet presents a special fundraiser to benefit Margo Cignac. The event will be held on Sunday. March 5. As part of the event, I have donated a piece entitled Dress Rehearsal. The South Miami Hospital Foundation presents its largest fundraising event of the year, the 51st Annual Mercury Ball. This year's gala, Paraiso Brasilero - A Celebration of Color, Music and Joy, will be held on Saturday, March 5, at the Legends Ballroom at the Doral Country Club Resort & Spa. Funds raised will benefit the Emergency Center and Clinical Expansion Project at South Miami Hospital. I have donated one of my art pieces to the silent auction portion of their event. M.A.R. (Madres y Mujeres Anti Represion) Por Cuba presents "Noche Cubana" at The Treetop Ballroom, Jungle Islands, 1111 Parrot Jungle Trail, Miami, Fl. at 7:30 p.m. Silent auction will showcase my art piece, Violeta. Greater Miami Chamber of Commerce's leadership team, Miami in Motion, presents an ARC Social event. Artwork created on January 23rd by the children of ARC of South Florida, Inc. will be exhibited and sold at RODEZart.com Gallery between the hours of 6 and 9pm. All sales proceeds will go to benefit ARC. In addition, a portion of all sales of any Rodez artworks will also go to benefit ARC. For images of the children's works of art, click here. Special Equestrians, Inc. is a not-for-profit horseback riding program which provides therapeutic riding to mentally and physically challenged children and adults. 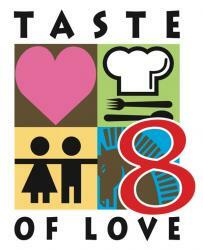 Join them on Sunday, February 20, as they celebrate their Taste of Love 8, their biggest yearly fundraising event, at The Design Studio by Raymend, 13830 Jetport Commerce Parkway, in Fort Myers, Fl. from 5 p.m. to 9 p.m. I have donated several of my art pieces for their silent auction portion of the event. The Florida Marlins Community Foundation's Inaugural Diamond Ball will be held Friday, February 18, 2011 at the InterContinental Hotel in Miami, Florida. Mingle with Marlins players, coaches, and executives, plus enjoy live music, silent auction, cocktail reception and dinner as we raise money for South Florida's youth! 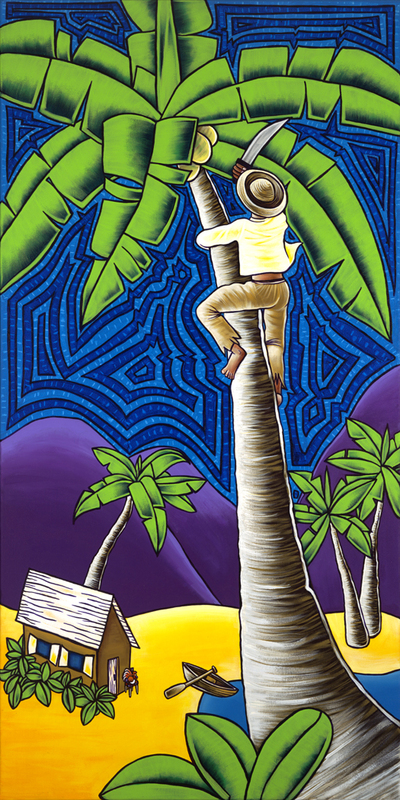 The silent auction will include one of my art pieces from the Afro-Caribbean series. The 2011 art auction in support of the book publication "FACES: 100 Cuban Artists" by photographer Carlos Manuel Cardenes. The art auction will feature works by myself along with works from other renowned contemporary artists, such as: Rafael Soriano, Sergio Garcia, Connie LLoveras, Lilliam Cuenca, Victor Gomez, to name just a few. The event will take place on Wednesday, February 2 , from 6 to 9pm at the New World School of the Arts Art Gallery, 25 NE 2nd St., Miami, Florida. UTD Multicultural Education Event, MiamiA Melting Pot of Cultures, Sounds and Tastes on T.B.A. at the Mahi Shriners Auditorium, 1480 NW North River Drive, Miami, FL. from 7:30 - 10:30 pm. The Margaux Early Childhood School at Temple Judea holds a silent auction fund raiser on Tuesday, January 25 at Temple Judea, 5500 Granada Blvd., Coral Gables, Florida. The silent auction will include a donation of one of my works of art. George Rodez will be painting with 30-40 boys and girls from ARC of South Florida, Inc. at Schnebly's Redlands Winery, 30205 SW 217 Ave., Homestead, FL. between the hours of 1 and 4 pm. This is a Miami in Motion event, part of the Greater Miami Chamber of Commerce's leadership team. The finished artwork pieces will then be auctioned off at RODEZart.com Gallery on Thursday, February 24 from 7 to 10 p.m. with all proceeds benefiting ARC. 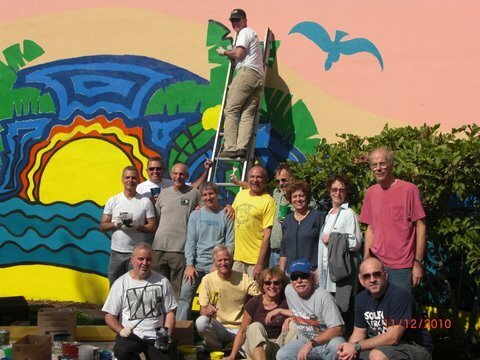 George Rodez will be painting with numerous volumteers a mural he designed for KIDCO Child Care Center, 123 NE 36 St., Miami, FL. The mural is entitled "Sunset Park." See images here.